Most places will have a dull and damp start, with cloudy skies and some light rain and drizzle. This afternoon will be drier and possibly brighter as some sunny spells start to develop. Get a full forecast where you live, from BBC Weather. Welcome to our live coverage from across the county. A1075 Norfolk both ways severe accident, between Herne Lane and Long Road. A1075 Norfolk - A1075 Dereham Road in Ovington closed in both directions between the Herne Lane junction and the Long Road junction, because of a serious accident. A134 Norfolk both ways severe accident, between West Tofts turn off and A1065 Swaffham Road. A134 Norfolk - A134 in Mundford closed in both directions between the West Tofts turn off junction and the A1065 Swaffham Road junction, because of a serious accident. Meet the two friends standing up to cross the "world's busiest shipping channel" for the RNLI. That's all from the Local Live teams for the week. We're now taking a break for the weekend and will return at 08:00 on Monday. We hope you've enjoyed our coverage. Whatever you're doing, we hope you have a great weekend. Buxton Road, Spixworth: Re-opens to vehicles at 06:00 on Monday, 4 September, with traffic using the new bridge over the A1270 NDR for the first time. Temporary lights will be in use while work continues to tie-in the footway and cycleway over the bridge. With the re-opening of Buxton Road, the two-way traffic lights on the B1150 North Walsham Road will be removed. A140 Cromer Road: Temporary lights will be in use next week as work continues for the tie-in of the road alignment and bridge over the NDR. Asphalt base layers will be laid on the carriageways over the new bridge from mid-week. This will require regular deliveries from Postwick. A1067 Fakenham Road roundabout: Temporary signals and lane restrictions from Monday for the laying of the final surface on the NDR between Fakenham Road and the A140 Cromer Road. Smee Lane and Low Road - the Plumsteads: The one-week closure of Smee Lane will now not take place next week. A one-week closure of Low Road will go ahead as planned from 11 September. A staff member sacked by the Norfolk and Norwich University Hospital over anomalies to a bank account has admitted stealing £152,697. 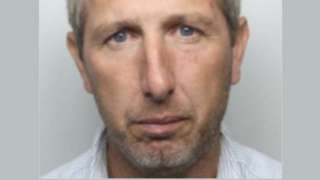 Thefts were made between January 2011 and November 2016 by Steven Hart, 41, of Arlington Close, Attleborough, Norwich Magistrates' Court was told. Hart pleaded guilty to theft today and will be sentenced at Norwich Crown Court at a date to be fixed. A spokesman for the hospital said: "The trust's finance department discovered apparent anomalies in one of our bank accounts in January 2017 and, following investigation, a junior member of staff was suspended and subsequently dismissed and the matter referred to the police. "Given the ongoing legal proceedings it would not be appropriate to comment any further." Judges rule eight years in prison is too lenient for Jason Armstrong who preyed on vulnerable girls. As we've been mentioning the past couple of days, thousands of music fans are heading to the Norfolk Showground for this year's Sundown Festival. It gets under way tonight, with artists such as Artful Dodger and Jess Bays, and continues over the weekend. The event is in its fifth year and promoter Roy Trickett says festival-goers will see some big changes. "The whole site has had a massive revamp... the whole vibe, the layout, it's just a complete revamp... we've moved the campsite, we've got six stages now... and tonight's opening party is huge." It's the end of the run... the V's have gone, Leeds and Reading, Latitude... this is the last one before the kids go back to colleges, unis and school, so it's a great way to end the summer." A community in west Norfolk has been raising money to bring new life into their parish church. St Andrew's, in Walpole St Andrew, was made redundant in 1986. Since then it's fallen into disrepair and been targeted by lead thieves. Pete Ayres, of the Churches Conservation Trust, praised the local community for their help in bringing new life back into the building. "We have raised a significant amount of money... we're just about to start repairing the roof - it means we can keep the building going and it's so important that we do," said Mr Ayres. Elaine Broden, who lives in the village, says they still have some fundraising to do, but they know the church will never be a working church again. It would be really lovely just to use the space so that people can come together, younger and older, even once a month." It's due to remain warm, with temperatures expected to reach 20C (68F). There'll be some heavy showers, mostly near the coast, with sunny spells in the west of the county. BBC Weather has more details for you. Work to widen a busy roundabout in Norwich is set to begin on Monday. Norfolk County Council and Norwich City Council are improving the junction where Dereham Road, Sweet Briar Road and Guardian Road meet. The project is designed to make the junction work more efficiently and improve bus journey times. There will also be new crossings and widened footways for pedestrians and cyclists. The work, which is part of the Transport for Norwich project, is set to continue until April 2018. A 16-year-old boy suffered a bleed on the brain following an attack in Gorleston last week. The assault was carried out by one person at about 17:00 on Friday, 27 August. The boy needed hospital treatment, but is now at home recovering. Anyone who may have witnessed the assault, or who has information, has been asked to contact Norfolk police or Crimestoppers anonymously. With headline acts like Craig David, Rag'N'bone Man, Pendulum and Artful Dodger, thousands of people will descend on the Norfolk Showground for the Sundown Festival. Police are asking festival-goers to keep their personal belongings safe, and also to behave responsibly. Their advice to those who will be camping at the event is to bring only those items that are essential and to think about the security of valuable items. They also urge those attending the festival to adhere to any security advice given by the event organisers and to allow extra time for any checks that will take place. Motorists are warned to expect heavy traffic on the A47 and A1074 Dereham Road. The front page of the Diss Express today: A man in his 60s was grabbed and punched during a mugging in the town. Today marks the start of meteorological autumn... and this was reflected in the overnight temperatures. Santon Donwham, on the Norfolk-Suffolk border, had the coldest night since 15 May, as this tweet from Weatherquest's Dan Holley shows. How cold was it where you live? The story on the front page of the Eastern Daily Press today: Fury as nursery closes, days after families asked for cash. Firefighters dealt with a major car fire yesterday afternoon in Hellesdon, near Norwich. Fire crews were called to the vehicle parked in front of a bungalow on Reepham Road at about 16:30. A fire engine from Reepham attended and the fire was extinguished.